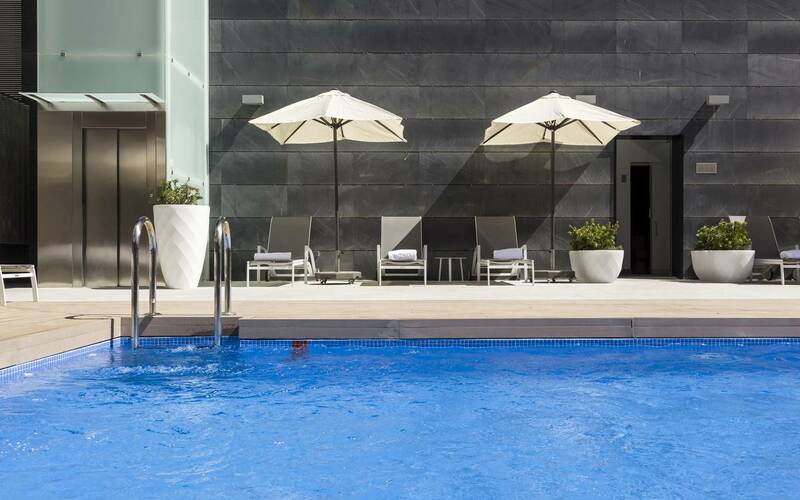 The Hotel Ilunion Atrium, equipped with its own swimming pool, is located in Madrid's business district, half-way between the airport and the city centre, with direct access to the M-30 ring road, making it an extraordinary choice for any trip the Spain's capital city. 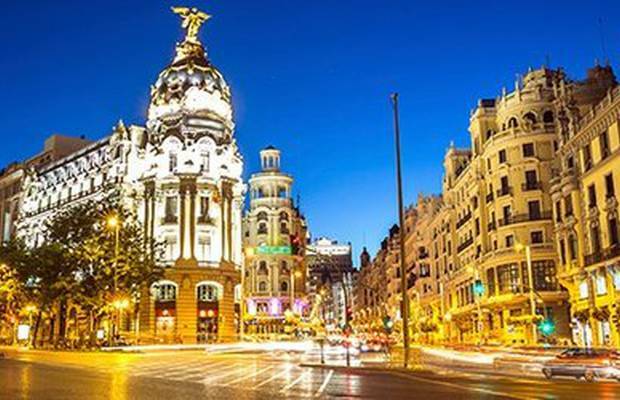 If you like Madrid as much as we do, stay more nights with a 20% discount. 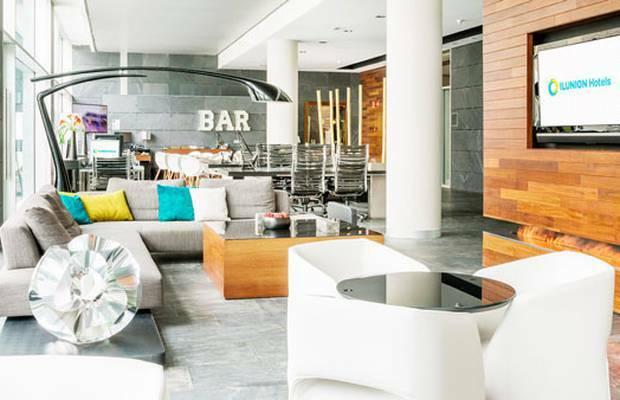 Enjoy the spacious terrace, our bar, and restaurant serving the best food, and stay connected with our completely free Internet Point. Ilunion Alcalá Norte offers you everything you need. 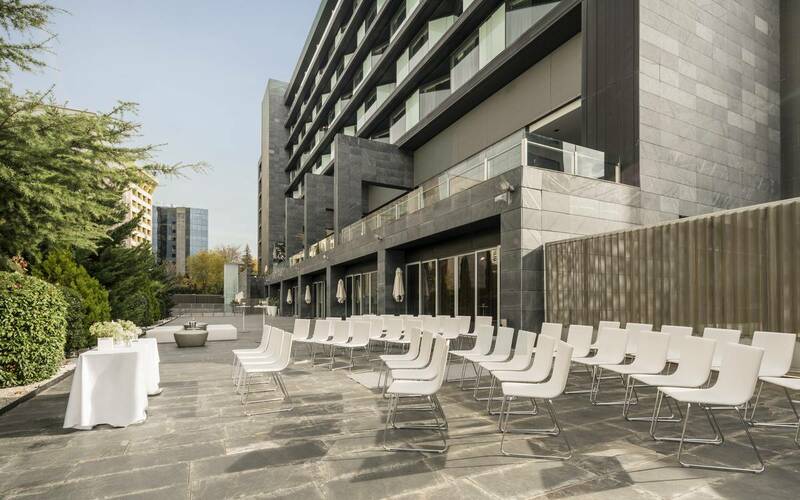 Close to IFEMA, the Palacio de Congresos convention centre and the Arturo Soria shopping centre, with excellent connections to the city centre. Partitionable spaces with capacity for large events. We customise it for you. 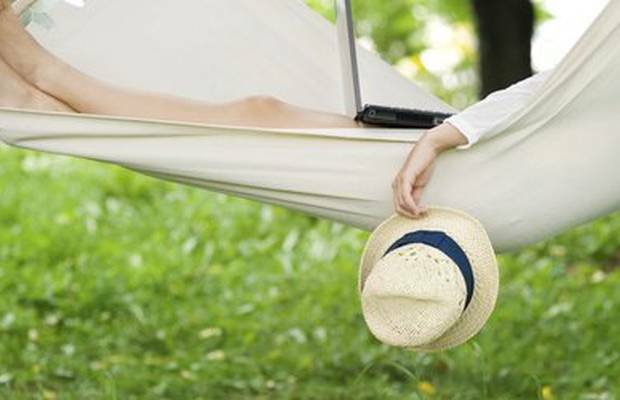 Late Checkout, Early Booking, Long Stay...Choose what best suits you! 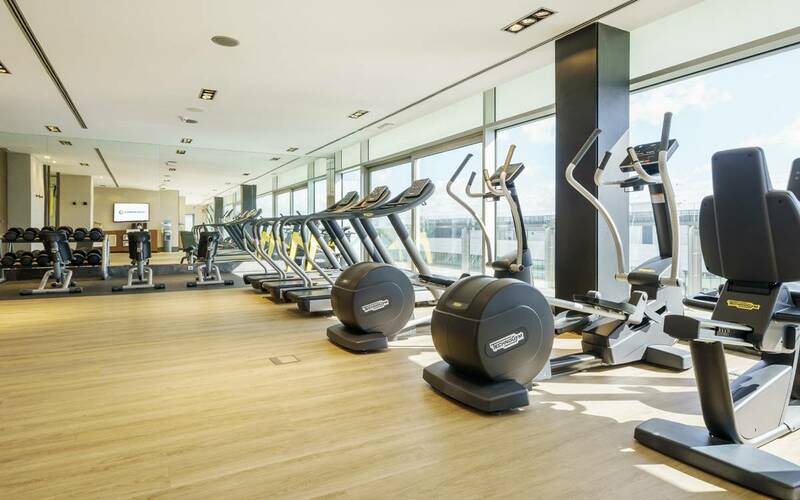 Located on the 6th floor with spectacular views in a space equipped with all the fitness equipment you need, so you can enjoy your favourite music or channels while getting into shape. Free service. 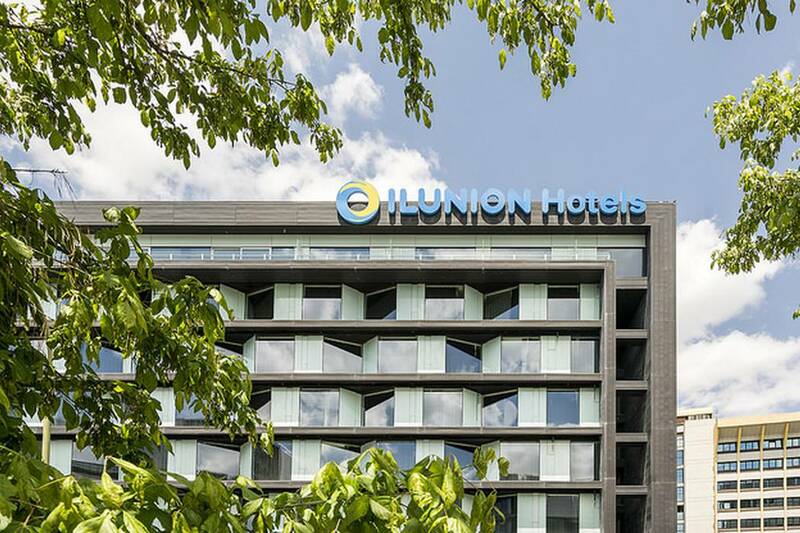 Come and see us atIlunion Atrium, a hotel in Madrid with a swimming pool, perfect for your weekend breaks in the capital or after a long business day. 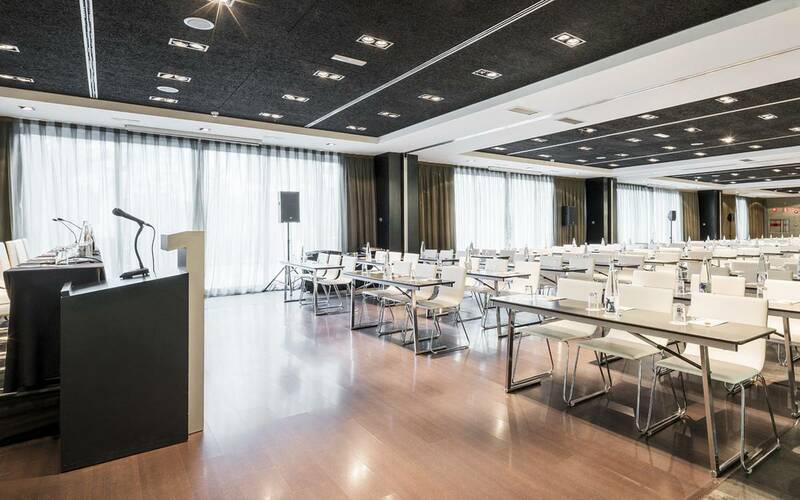 Our modern 4-star hotel in Madrid stands out thanks to its contemporary design: The robust cement-structured building, with high ceilings, combines urban materials with steel and glass panelling. You can complete your stay at our Hotel Ilunion Atrium with a swimming pool with a wide range of services and facilities for you to enjoy. Gym on the upper floor, working areas with connections in which to work quietly with your laptop, terrace-cafe with views and areas in which to hold all kinds of events. We had a fantastic time at this hotel. All staff were really helpful, efficient and professional. The service was oustanding. Many thanks for making our stay so excellent. Not bad, but the shower water was terribly cold. Reception staff didn't allow food get delivered into the room, no explication was given. A little disappointed with the Bar area. The Bar area was not very welcoming and not very comfortable to sit for a while. Only English channels are business channels---little genersl news.